rom the No.1 bestselling author of The American Boy and The Silent Boy comes a brand new historical thriller set during the time of the Great Fire of London. The first of an exciting new series of novels. A CITY IN FLAMESLondon, 1666. 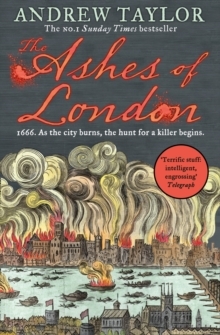 As the Great Fire consumes everything in its path, the body of a man is found in the ruins of St Paul’s Cathedral – stabbed in the neck, thumbs tied behind his back. A WOMAN ON THE RUNThe son of a traitor, James Marwood is forced to hunt the killer through the city’s devastated streets. There he encounters a determined young woman who will stop at nothing to secure her freedom.